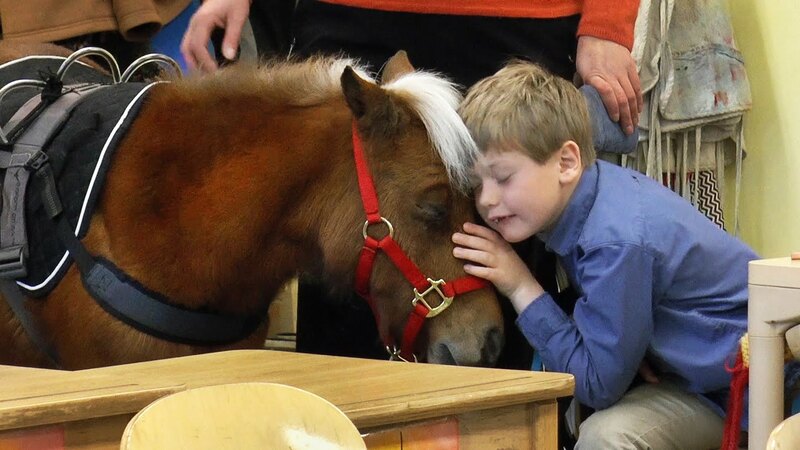 We usually associate therapy animals with dogs, but many other animals — horses, cats, rabbits and even chickens — can provide assistance with mental and physical health. Research shows that sick or injured people benefit from interacting with animals. Therapets do not judge, they don’t stare and gawk and they don’t ask endless questions about how the patient is doing or what the prognosis is. They are there as a companion that patients can talk to or pet. Therapets also go into schools to help calm students before a big exam and to let young children read to them as a way to improve their reading skills. CCI trains four types of assistance dogs: service dogs, who help disabled people; skilled companion dogs, who help disabled people with the assistance of another adult; facility dogs, who work in clinics or other professional settings with patients; and hearing dogs, who increase people’s environmental awareness. The dogs have two modes: rest and work. While at rest, the dogs act like any other dog, but the moment their owner commands them, the dogs instantly go to work and don’t stop until told. 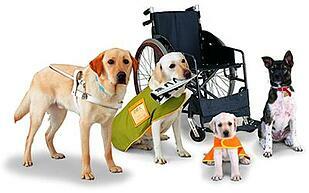 Passersby are advised to ask the owner before petting an assistance dog and to address the owner first, not the dog. Studies of dogs and cancer detection are based on the fact that cancerous cells release different metabolic waste products than healthy cells in the human body. The difference of smell is so significant that dogs are able to detect it even in the early stages of cancer. Dogs are able to identify the chemical traces in the range of parts per trillion. Some studies have confirmed the ability of trained dogs to detect skin cancer melanoma by just sniffing the skin lesions. Furthermore, some researchers have proven that dogs can detect prostate cancer by simply smelling patients’ urine. Dogs may also be able to sniff out the presence of cancerous cells through a human’s breath. Not only does their sense of smell make cancer detection possible, but research suggests that dogs can be trained actively to sniff out the cancer. Horses do not see disabilities, said Nancy Tejo, of Merrick, owner of Sky Riding LI at Parkview Stables in Central Islip, NY. They only see people. She works with riders who have conditions ranging from autism to charge syndrome, a rare genetic disorder that causes heart defects and slow physical growth. Occupational therapy is known in horse circles as hippotherapy. Specially trained physical and occupational therapists use this treatment for clients with movement dysfunction. In hippotherapy, the movement of the horse influences the client. The client is positioned on the horse and actively responds to his movement. The therapist directs the movement of the horse; analyzes the client's responses; and adjusts the treatment accordingly. This strategy is used as part of an integrated treatment program to achieve functional outcomes. While many people view chickens as something to be barbecued, there is evidence that chickens have high intelligence and can easily create personal bonds with humans. Chickens also have their very own means of communication. Each sound means something different in “chicken language” and researchers have identified up to 30 different types of vocalizations. Mountain House, a Santa Barbara-based adult residential facility, has recently implemented a program that uses chickens to help comfort their patients who have been diagnosed with mental illness and high anxiety. For individuals with an ASD or Asperger's syndrome (a form of autism), chicken therapy may be a surprising but effective breakthrough. "An autistic or Asperger's individual inherently needs to be assisted away from over fixation on the inner self," explains Pet.org.au, which provides support services for "autistic children and parents to find the 'perfect' companion animal." "This encouragement to outward awareness and not to fear it can be found in the antics and curious jerky head motions that catch the eye made by all chickens," Pet.org.au says. "It is so captivating and funny…"
"Chickens, as with most pets, will coax a special needs child to innately accept that there is fascinating 'chaos' in life and that unpredictable things will occur with fun result." Research has found that having a pet confers health benefits on most owners, with or without an illness. Studies have shown that being around pets is associated with lower blood pressure and heart rate, and fewer symptoms of anxiety and depression. Therapists and hospital volunteers take advantage of that by using therapy animals to bring comfort and other psychological benefits when visiting patients. No matter what type of animal it is, they all can help humans in a way other humans can’t. Hopefully in the future more types of animal therapy will be a means of healing for patients.